Riviera, Orange County, Gaudi Guy, Nov. 2009, pp80. American Craft, Dec '05/Jan '06, pp62. Coast, Modern Dream, June, 2003, pp84. Landscape Architecture, Prescription for Healing, February, 2003. Artweek, Public Art Brightens Cherry Orchard, Dec, 2001 - Jan, 2002. Coast, The Art Collection of Laguna Beach Residents Suzanne & Ted Paulson, June, 2001. House & Garden, Total Immersion, May 2000, pp142-143. Rancho Mirage, cover & pp 26, 2001. Global Architecture - Houses 17, Y. Futagaza, A.D.A. Edita Tokyo,1985, cover & pp 8-14, Frank Gehry, Architect. The Art of Mosaic Design, J. Locktov, Rockport Pub., 1998. Gioio, Italian magazine, mosaic table and benches, Robin & Marsha Williams residence, 11/8 /97. Palm Springs Life, Rancho Mirage, October, 1996. Los Angeles Times, Public Art - The Next Wave, August 3,1995. Progressive Architecture, Keeper Gate,November 1995, Zuma Beach Entry Gate. Palm Springs Life, Oct, 1996- Cancer Survivors Park, Rancho Mirage, CA. Great Tile, Sunset Books, Inc., Jan., 1998. Pages 11,28,35,51,64,88 & 89. Los Angeles Times, For All the World to See, August 4, 1995. West, Pioneers, Breaking with Tradition, August, 1994. West, Paradise Found, August, 1994. Los Angeles Times Calendar, Graceful Sculptures Convey Artists' Enjoyment of Their Creation, May 23, 1993. Wings Over the City, Westside Arts Center, Los Angeles, CA 1993. Street Gallery, Guide to 1000 Los Angeles Murals, book by Robin J. Dunitz,1993, pp 148, 322, 363. Los Angeles, Tillemania, October, 1992. Architectural Digest, Desert Textures, August, 1991. Northern California Home & Garden, Brave New Palette, July, 1991. Architectural Digest, A Shoreline Composition, March, 1990. Southern California Home & Garden, Moody Blues, March, 1990. 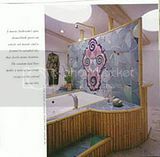 Palm Springs Life, Marlo Bartels: Artistry in Tile, September, 1989. Art News, Living With Art - The Einsteins - The Big Hit, December, 1989. Los Angeles Times Magazine, Rethinking the Kitchen, July 10, 1988. Designers West, Public Spaces - A Gallery's Public and Private Life, November, 1987. Palm Springs Life, Humor Reflects Art Innovator, November, 1987. Los Angeles Times, He Broke In as Artist With Tile Sculpture, May 16, 1986. Designers West, Chinois, January, 1986, tiles by Marlo. C, Stylealifornia, May 1986 - Art You Can Sit On. Progressive Architecture, December 1985, Rooms at the Top, Wosk Residence. Architectural Digest, Splendor in the Desert, August 1984, Steve Chase Associates. Our Own Artists: Art from Orange County, Newport Harbor Art Museum (currently OCCMA), 1979, pp 22-23.